We’re moving a little slowly around here today, so why don’t we all read these articles and come back later for discussion (after we’ve had a nap). Poytner Review (now acting as the ESPN ombudsman) on Tebowmania: ESPN Exuberance Or Excess? I am not sure that I agree with their conclusion that to be the leader in sports you need to be the leader on the hottest story, especially when it is a narrative you are helping to construct in the first place. SI has been running a good series breaking down the Giants-Pats match-ups by position and there is much to get out of this piece on Ahmad Bradshaw and Hakeem Nicks versus the Patriots defense. This recipe was inspired by the Midnight Blue Margarita posted by Drink of the Week, found via Pinterest. They posted a pretty sharp looking margarita, but I my doubts about some of the ingredients. Meyer lemon juice? Also, I like my margaritas to have a hint of lime over lemon. Even though lemon is the natural accompaniment to blueberries, lime works just as well in this drink. 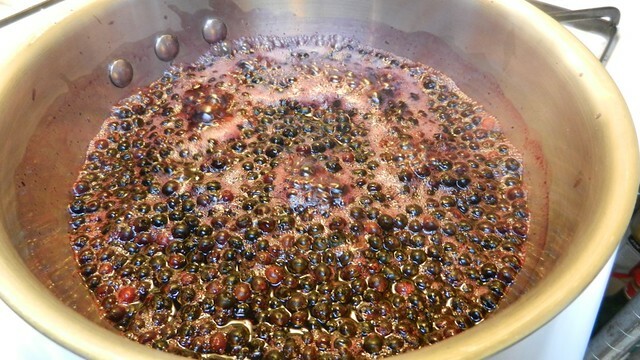 Also, I really wanted to get a stronger blueberry taste, so I increased the amount of blueberries while doubling the total amount of simple syrup being made so we’d have enough for the entire divisional weekend games. 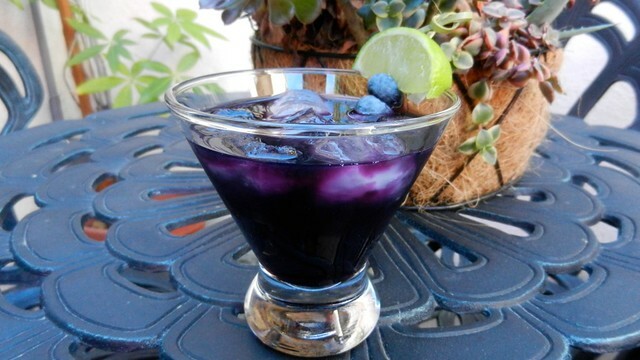 The sweet blueberry and lime are a great match for the tequila. Garnishing the glass with a lime gives your guests a little control to increase the tartness of their drink if they so desire. 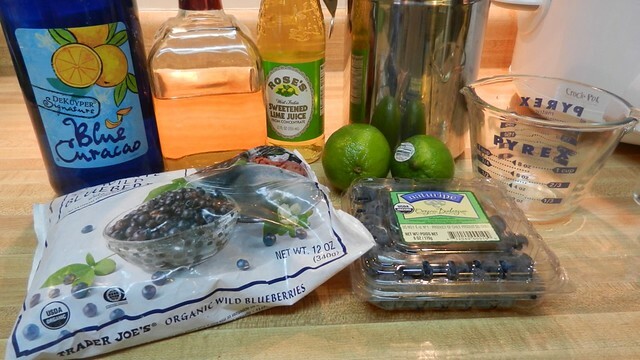 Fresh blueberries and a lime wedge for garnish and to adjust tartness. 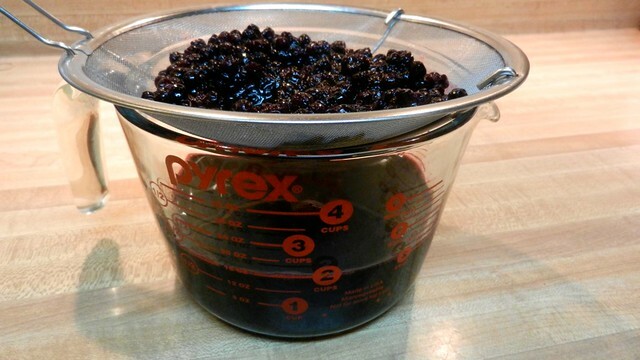 In a sauce pan, bring the water, sugar and blueberries to a boil. Let simmer for about 5-10 minutes to thicken into a syrup. Strain out the blueberries (I saved mine to put on oatmeal later in the week) and cool completely. Blueberry simple syrup should keep for at least a couple of weeks in the fridge, so feel free to make ahead of time. Mix the ingredients together in a cocktail shaker with ice and serve. What to make an alcohol free version? Use lemonade in place of tequila. Follow Super Bowl Guacamole Extravaganza here for the next couple of weeks! Your 360-interactive-all-media-guide for the Football Foodie and the 28 Days of Super Bowl recipes can be found here, so you can follow along on Facebook, Pinterest and our own new glorious galleries that can be found at the top of this very page. 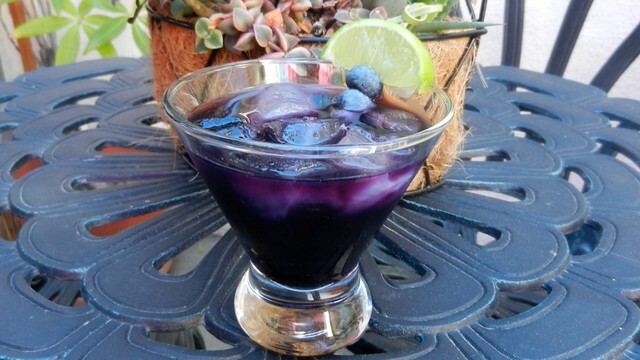 Blueberries are a fun take on the classic margarita. Can be made non-alcoholic by using lemonade in place of tequila. Blueberry simple syrup should keep for at least a couple of weeks in the fridge, so feel free to make ahead of time. made these two at a time in the shaker – my Wife was impressed. only ‘ritas I can think of that could (and did) do well with either a salt or sugar-lined rim. Nice, glad they came out for you!